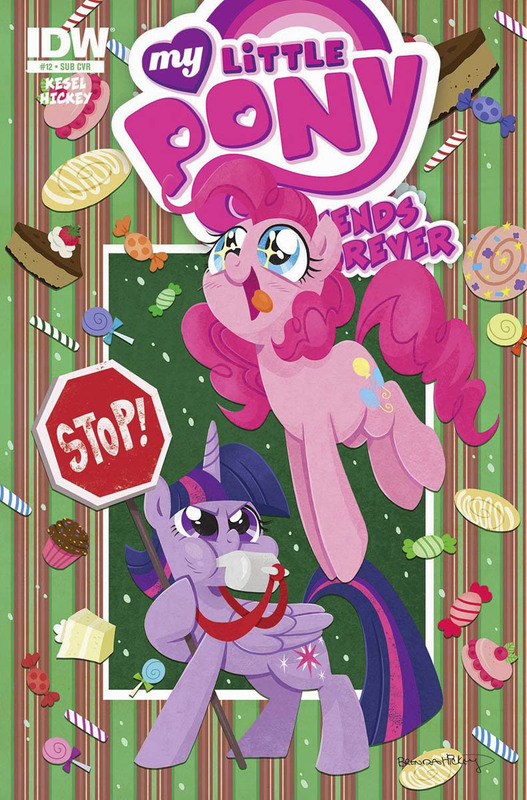 Here on this page you'll find an overview of all My Little Pony Friends Forever Issue νm; 12 Comic Covers, with a total of 2 releases. You can click on the Friends Forever Issue νm; 12 Comic Covers images to zoom in or click on any of the links under the images to see more releases of that type. 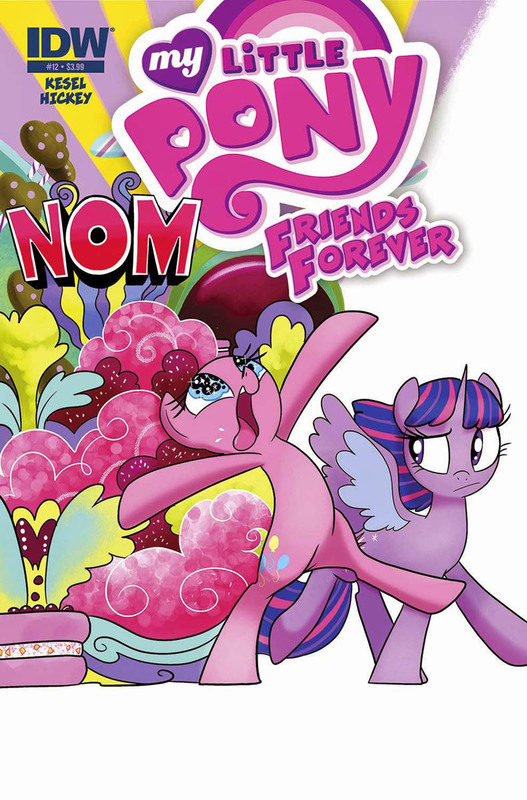 Summary: Pinkie Pie meets her match... in the form of delicious, irresistible snacks called PheNOMNOMenons! With Pinkie helpless to resist the tasty treats, she enlists help from her friend Twilight! Will Twilight be able to help her friend or will she succumb to her sweet tooth as well?